SearchSpecifics TRANSEARCH Africa is acutely aware of its responsibility to the community. As an executive search firm actively seeking specialised skills we understand that our candidates received remarkable education that allows them to be considered for their roles. To that end, education is core to our CSR strategy. Currently, Matentji serves as one of the Board of Directors of help2read, an organisation whose vision is for all primary children are literate and enjoy reading. help2read accomplishes this by recruiting, training and supporting literate adult volunteers from local communities to help disadvantaged primary school children who struggle to read. 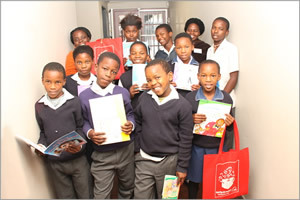 Since its inception in 2005, 6271 children have been helped. The organisation has offices in both Johannesburg and Cape Town. Please visit www.help2read.org to get involved. Complete your details below and one of our business development specialists will contact you to discuss your executive and senior level recruitment needs.